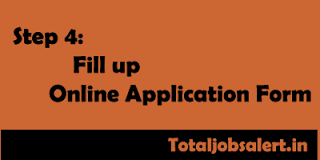 Are you tired of searching for How to Fill out Online Application Forms and all you have got is not much significant? Well, we all know that in this Technical era no one wants to send their application form via post just because it is to slower than the procedure we are showing on this page. When you start to fill up online forms, there is always a fear of some mistakes/ filling forms incorrectly that gets stuck in your mind this happens since you are not aware of steps for How to Fill Application Form Online. That is why we have published this article for your convenience. Those, who want to be a step ahead, need to utilize these Tips to fill out Application Form Online. There are numerous chances that you get when you have to apply for your dream job. But, you could not do that due to lack of these steps or tips for “How to Submit Application Form Online”. Filling an application form through Online Mode is not rather easy but not that hard too. There could be a better way for doing this. 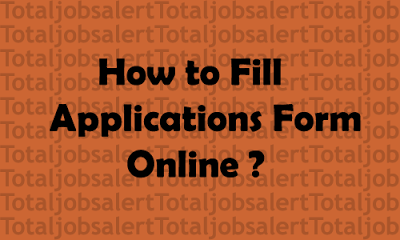 Your efforts will be optimized and precious time will be utilized and saved if you follow these tips about How to Fill Online Application Form below. Special instructions have been rendered to this page. Through this complete guide on how to get the best of Submission Process of Online Forms, you will love to fill out application form via the Internet by taking these techniques into consideration. 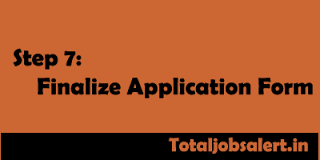 The Application procedure also depends on the job and the organization offering it. 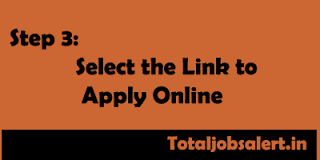 There are a lot of authorities/ universities/ institutions/ organizations (such as UPSC, SSC, UPSSSC, Indian Army, CCSU, RRB, TSPSC, UKPSC, CGPSC, BSPS, and many others) that offer you online forms to apply for a particular job. So, the process could also be a slightly different due to changed rules or regulation of the authorities. By following these upcoming steps regarding How to Fill Application Form Online, you can easily submit online forms. 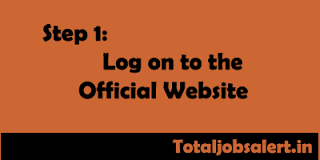 Step 1: Log On to the Official Website The very first thing aspirants need to make sure is the Official Web Address of the organization’s site. If you don’t know how to get this address, just type the name of the authority issuing applications in Google search and you will have a variety of results. These results will include the Official Link, too. Some Websites are bilingual (in two languages). You need to choose one that you understand well. Tips: Most Official Links usually end with .gov.in, .edu, .nic.in, .org, etc. So, prefer picking them first. 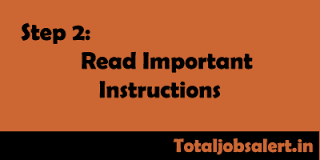 It is highly recommended that aspirants should consider reading all important instructions carefully that are given for the applicants so that they do not make any mistake while filling out the application forms via Online Mode. Step 3: Select the Link to Apply Online Once the important guidelines have been checked by the applicants, the next step is to click on the link to apply. This link is normally shown to the lower side of important guidelines’ page. 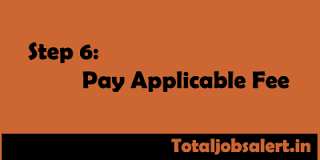 The link could be provided with several names like “Apply Online”, “Register Here”, “Application Form”, etc. Those who are new to the filling procedure or have not filled yet will see a link like “New User” or “New Registration” or “Registered Here” or somewhat similar. Only crucial data, such as Username, Category, Gender, Mobile, Email, Password, Date of Birth (DOB), etc., will be asked. Eventually, submit the form. Tip: Signing up as a new candidate will not require you to provide information in detail. 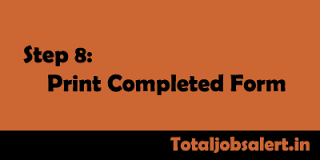 Once you have successfully gone through the 1st phase, you will be supposed to click on another like given as “Registered Candidates” or “Registered Candidates – Click Here”. To successfully complete this phase (step), you have to enter your “Registration ID” and other compulsory information that you got in phase I) or 1st phase. Finally, submit the application form. Tip: In this phase, you need to provide data in depth/ detail. Step 5: Upload Mandatory Documents It is time for all recommended certificates to be uploaded on the official website through the online mode. The Officials will require you to upload your Educational Certificates, Scanned-Photograph, Scanned-Signature, and other documents. Thereafter, you can submit the form eventually. The “Upload” button given there will do this work for you. Make sure to upload the photographs in the recommended file format. The mostly used is .JPG/ .JPEG or .JPE. Your photos wearing cap or spectacles will not be entertained. Always use signature written or done with a black-ink pen. Step 7: Finalize the Application Form When everything has gone right, you need to submit the online form finally. After clicking on the submit button, if you are popped out about an error, it means you have wrongly filled the form fields and you need to correct it. Step 8: Print Completed/ Finalized Form The last but not the least step is to download the form which you just have submitted. This is required because, after some time, you might have need of the information that you filled in the form. So, saving this copy/ hard copy for futuristic usage could be helpful for you.